The difference between ghosts and demons is simple: ghosts are paranormal and fall into the realm of parapsychological research; demons are religious. The two are separate - there are no demonic ghosts, for instance. Of course, the truth is much more nuanced. Ghosts and demons may have some similar characteristics, including poltergeist type activity. The difference between demons and ghosts are many. Demons are considered theological or religious beings; ghosts are paranormal beings. Demons are evil spirits driven by ultimate evil from Satanic forces; while ghosts may have been jerks in life, and their behaviors may be bad, they are not driven by universal evil. Demons can possess humans; there is no parapsychological validated evidence of ghosts possessing living humans (although some people believe ghosts can attach to humans, but this is not possession. It is an energetic attachment, which is something else entirely). Demons appear to be able to commit great acts of physical strength; in general spirits may give the appearance of moving an object, but the objects don't actually move. Demons need to be exorcized; you can't exorcize or banish a ghost against its will. Demons destroy religious objects and react poorly to religious words, holy water, etc. ; ghosts don't. Demons are much more likely to make frightening noises like growling; ghosts typically don't growl. The Society for Psychical Research (SPR) notes levitation of people and objects (religious levitation) is often common with demonic activity; it's not found with ghosts and hauntings. According to the Psi Encyclopedia, which is a publication of the science-based research organization, SPR, the ghost is a term popularly used to describe certain types of paranormal phenomena. It is a sub-type of the broader scientifically used term, apparition, which the SPR defines as, "An anomalous experience in which typically a person is briefly seen or otherwise felt to be present, but not actually present." Ghosts are a specific type of apparition. The SPR defines a ghost as, "The apparition of a dead person." In general, the SPR notes these apparitions are commonly spotted in locations believed to be haunted, and they may be accompanied by other anomalous phenomena, such as the sound of footsteps or doors opening and closing. While the SPR and others in the scientific community of parapsychology describe apparitions and ghosts in very specific terms, in the general population, ghosts are generally considered disembodied spirits of people who have died. Some people use the terms ghosts and spirits interchangeably. Others refer to spirits as human consciousness (spiritual energy or the soul) outside of a body (disembodied), while they use the term ghost to mean earthbound spirits - or dead people who remain among the living without "crossing over" to the "other side" or "heaven." The SPR further divides ghosts and apparitions into types based on certain causes and characteristics. Hallucinations occur when someone believes they have encountered a spirit but have hallucinated it, possibly in relation to mental illness or drug and alcohol abuse. Veridical apparitions convey specific information to someone that the person is not aware of at the time, but research later determines the information to be true. Crisis apparitions or phantasms are appearances of people who have very recently died appearing to someone who is not yet aware they are dead. Hauntings, which aren't considered apparitions at all but are popularly grouped into the category of ghosts, are more commonly called residual hauntings. According to American parapsychologist Loyd Auerbach, hauntings are essentially a place memory, or a "recording" of an energetic event without any intelligence that plays over and over, much like listening to music on an MP3 player. According to Association for the Scientific Study of Anomalous Phenomena (ASSAP), "A haunting is a collection of odd, apparently paranormal, events reported at a particular location, at least some of which have not been explained by natural causes." 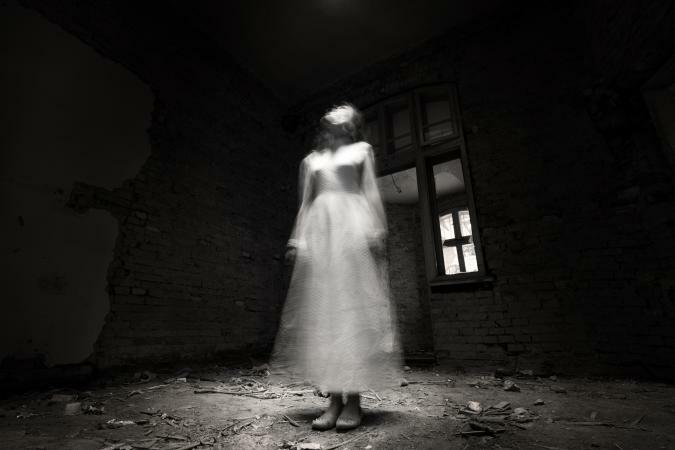 Poltergeists are often believed by laypeople to be ghosts, but research suggests they are not. Instead, psychical research suggests poltergeists are explosions of psychokinetic energy caused by a living agent, often without their knowledge. While poltergeist activity can seem violent and frightening, researchers suggest the movement of objects, etc. comes from a living person, and once the person is aware they are an agent, or deal with unexpressed emotional turmoil in a healthy way, the activity stops. They can appear in any place, any time of day or night, at any time of year. Their appearance usually lasts only a brief time, such as a few seconds. They are usually clothed partial or full figures that look very much like a living person. They are typically not transparent as depicted in popular culture. Many people don't realize they've encountered a ghost until they notice out of place for the period clothing or see the figure disappear. For the most part, they do not attempt to communicate, although in some very rare cases they may. They do not appear to interact with or affect their surroundings, although some people may report increased levels of electromagnetic frequency or changes in ambient temperature. They appear to leave no traces of having been there after they disappear. People cannot touch a ghost - their hand will pass through it. Although it appears to be able to do things like open doors, after the fact researchers discover only the appearance of these events took place, instead of it actually occurring. Apparitions can be observed from any angle, and their reflections will appear in mirrors. They make normal sounds like a living person would and behave in ways a living person might. All the above observations come from over a century of research conducted by scientifically minded researchers with the recognized and respected science-based parapsychological research associations ASSAP and the SPR. You may hear or see other explanations on paranormal television shows or from people calling themselves ghost hunters, but this information is anecdotal in nature and not based in research conducted using scientific method. The idea of demons comes from multiple religions, including ancient religions as well as modern religions including Christianity, Islam (Jinn), and Judaism (Shedim). While in general demons are believed to be evil spirits, in Western religions the term demon more specifically refers to fallen angels, the devil, or minions of Satan. Demons are believed to infest or possess people or places, and the only way to get rid of them is through the religious Rite of Exorcism. 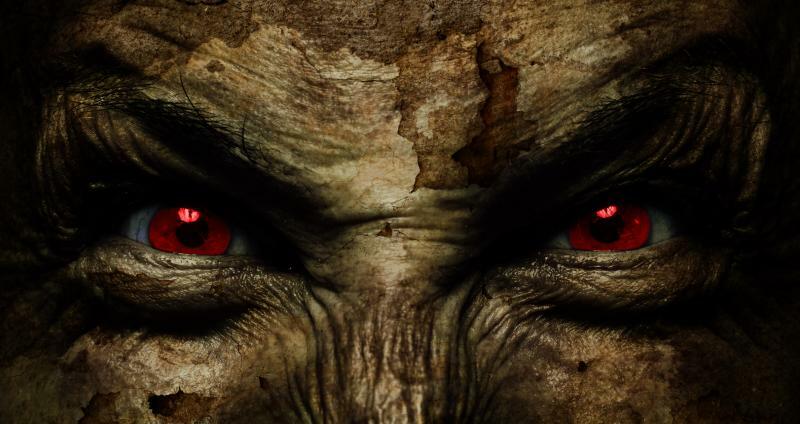 Banging noises in the walls, particularly occurring in threes as a way to "mock the trinity"
In an interview with Catholic Answers Magazine, Catholic exorcist Father Gary Thomas lists the levels of demonic activity. Infestation occurs when a demon attaches itself to a thing or place, possibly because someone performed a Satanic rite there or engaged in similar activity. Oppression occurs when a demon begins to affect a person, often causing anxiety, depression, or other issues. Possession occurs when the demon actually takes control of a person's body and takes over its will involuntarily. Integration occurs when the person allows the demon control and blends his or her will with that of the demon. Integration is voluntary. 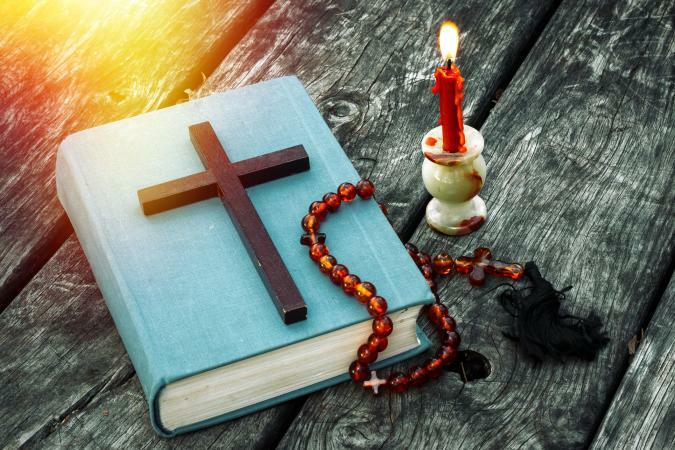 Some Catholic priests are trained in the Rite of Exorcism to remove demonic activity. Other secular practitioners called demonologists (such as members of the Paranormal Clergy) consider themselves experts in detecting and removing demons. Determining whether unexplained activity comes from a ghost or demon may be difficult for the layperson. However, a good rule of thumb is this: if you suspect demonic activity based on the signs noted above, contact clergy for assistance. If you suspect a ghost and want to know more, seek help from paranormal researchers.